Property 2: DIAMOND LAKE ~ Beautiful waterfront home, sandy beach - 1 summer week left! 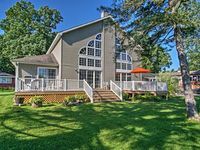 Property 6: Waterfront Vandalia House w/ Dock on Donnell Lake! Property 7: Lakefront Home on Eagle Lake - Sleeps 10 - Perfect for a Relaxing Getaway! Property 8: Lovely Home on the WATER'S EDGE of beautiful Diamond Lake!! Close to NOTRE DAME! Property 14: Diamond Lake Get Away! Property 24: CLOSE TO NOTRE DAME CAMPUS!! Peaceful, Very Clean, Furnished House! Paradise awaits Right on the Creek only 12 Miles form Norte Dame!! Property 29: Paradise awaits Right on the Creek only 12 Miles form Norte Dame!! 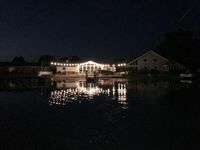 Property 33: Paradise on the lake! NOTRE DAME FOOTBALL US SENIOR OPEN AND SPECIAL EVENTS GETAWAY !! Property 38: NOTRE DAME FOOTBALL US SENIOR OPEN AND SPECIAL EVENTS GETAWAY !! Sandy Beach Accessible Knotty Pine Lodge w/ 47 Wooded Acres! Property 47: Sandy Beach Accessible Knotty Pine Lodge w/ 47 Wooded Acres! 4,100 sq ft Lakefront Cedar Lodge: Wheelchair Friendly-Offers Numerous Luxuries! Property 48: 4,100 sq ft Lakefront Cedar Lodge: Wheelchair Friendly-Offers Numerous Luxuries! Property 49: Blue Spruce Lodge: 340 ft of Lake Frontage, 80-ft wide Sandy Beach, Accessible!